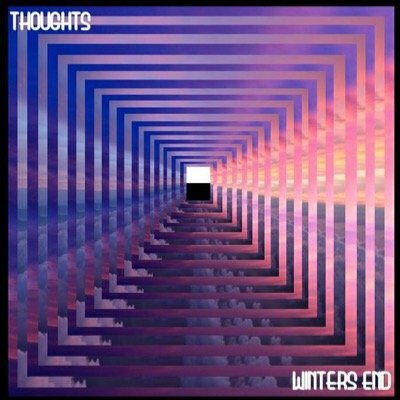 Winters End are Sydney based duo and siblings Marissa and Christopher Pinto. I’ve been familiar with their music only in the last few months but they’ve been on the Australian music scene for a few years now. Thanks to their website, Balcony TV Sydney and You Tube, I’ve listened to and seen their live footage and videos for previous singles such as ‘Walls’, ‘Waking Dream’, the tough subject matter of ‘Mayfair’ and now their current offering ‘Thoughts’. Their synth pop, electro style is welcoming and easy to connect with. Both accomplished musicians, Marissa takes charge as lead vocalist and I have no complaints. Her vocals in the previous tracks mentioned take soul and emotion to a whole new level. She’s very connected to her subject matter and the musical arrangements. She writes deep, hard hitting lyrics to get your attention and she has certainly got mine. The piano intro to ‘Thoughts’ immediately brought me back to late eighties Canadian group ‘Heart’. I felt a power ballad coming on but with a more sympathetic approach as the message of the song was very clear from the start. It’s a very honest and powerful lyric about a very raw and painful situation. To go to that place to write a song of heartbreak and dealing with the unfamiliar territory of trying to mend it, is a very emotional place to be in and to get out of. This is so evident in her vocal and lyrics, the uncertainty and frustration pouring out of her and the mixed feelings that eventually turn themselves into the acceptance that all is done. The last lines of the song ‘You shot yourself away from me, I shot myself away from you’ pack an emotional punch, a very inspired and expressive lyric. It’s over and done, cut, clear, delete. It’s a sincere production about a sensitive issue. The arrangement builds from the haunting piano intro as the story is being told. The rhythm is gathering pace and Christopher’s gradual intro of the drums and synth beats are timed perfectly and they don’t overcrowd Marissa’s vocal. It carries the emotional weight to the end of the song and fades out gradually at the right time.